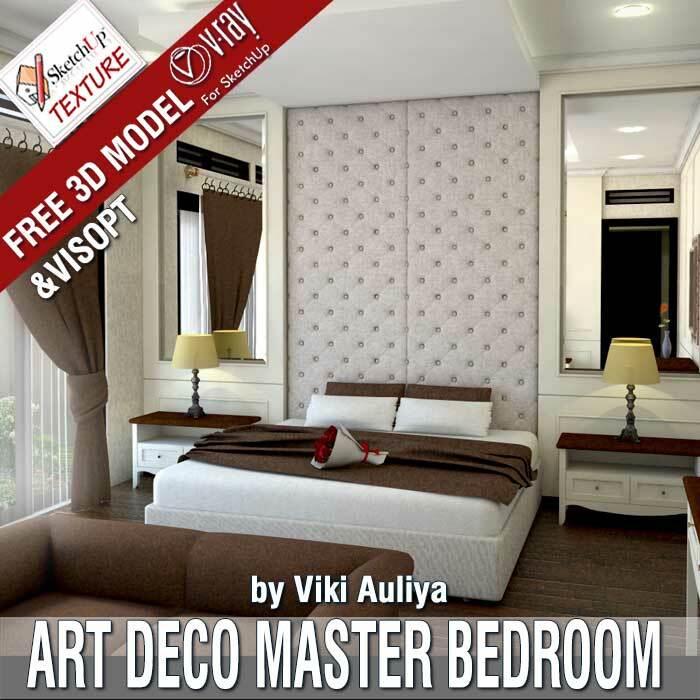 I am happy to share with members of Sketchup Texture Club, this SketchUp 3D model master bedroom, in Art Deco style. 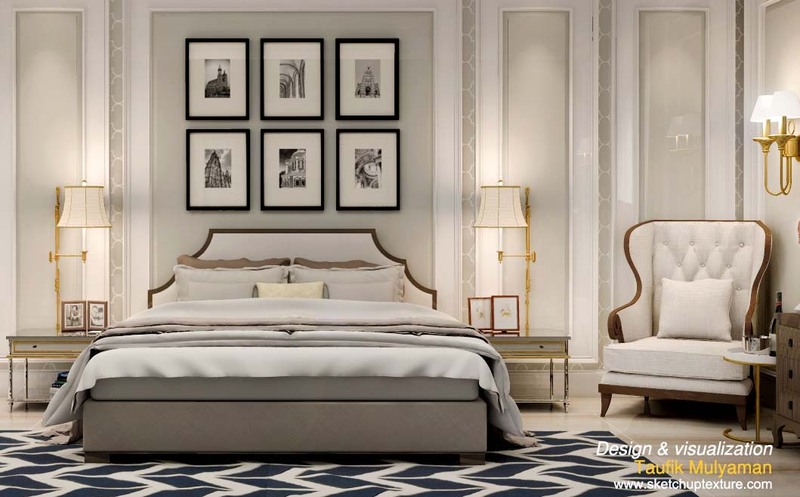 This luxurious and fashionable design still continues its influence today. 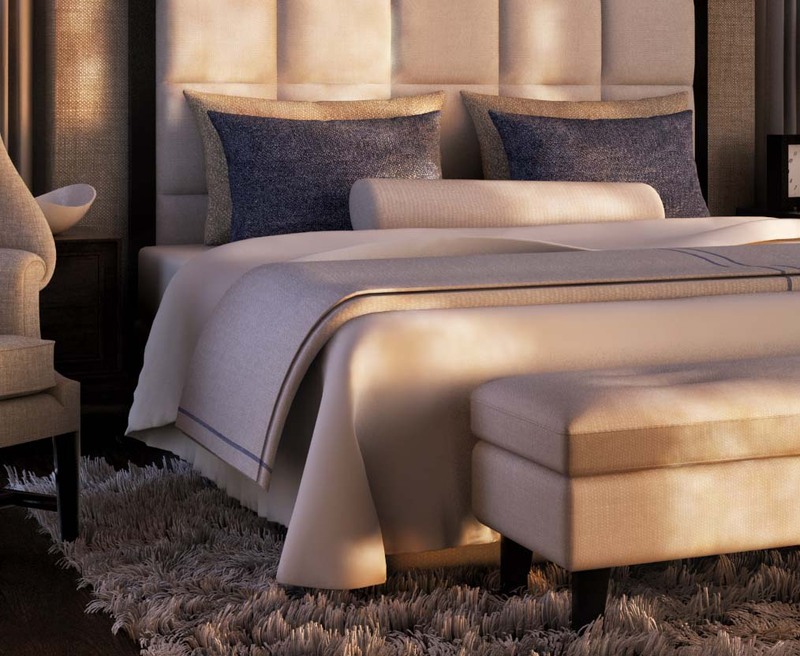 This is one fabulous design that you can definitely get for a master bedroom. The room walls are covered in plywood matt lacquered, whereas for the backrest of the bed, I used a polyurethane padding, upholstered in quilted fabric. The flooring i used a parquet for make the room more warm. I created a false ceiling, in which I included the lighting, and I played with only 2 shades of colors, ivory and brown, for make the room more classy and modern. I hope will be helpful for our CG artist community . 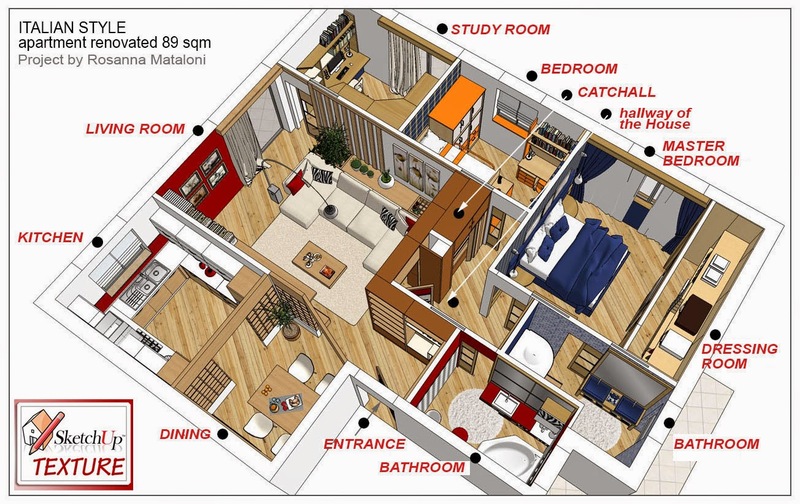 The room is a rectangle measuring 585 x 385 cm, which I furnished according to my personal taste, creating a modular furniture, in which I included 2 beds, so as to leave in the center, a large space to play. 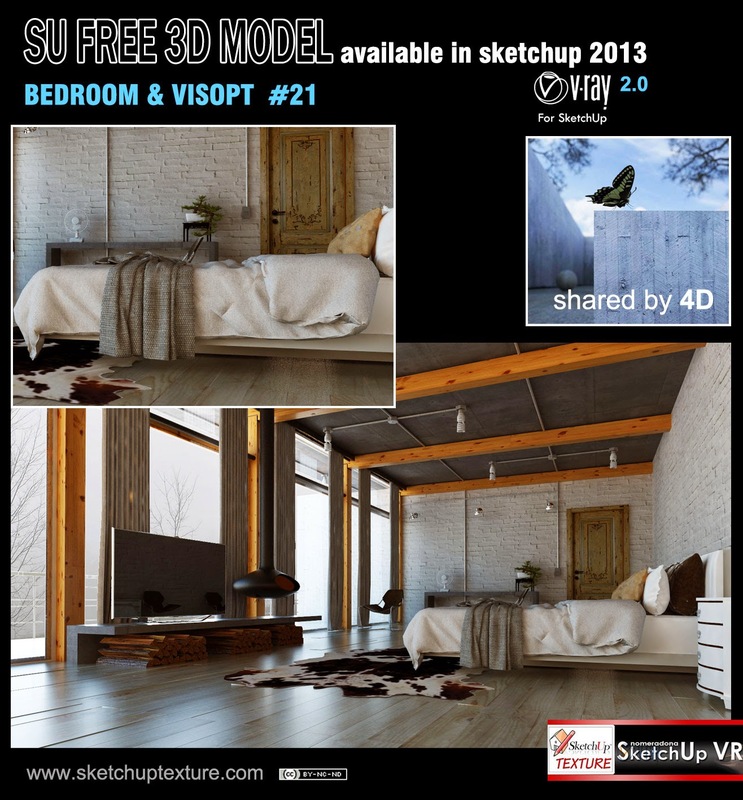 I'm happy to share my SketchUp 3d model, with all members of Scketchup Texture Club, which I follow for a long time. 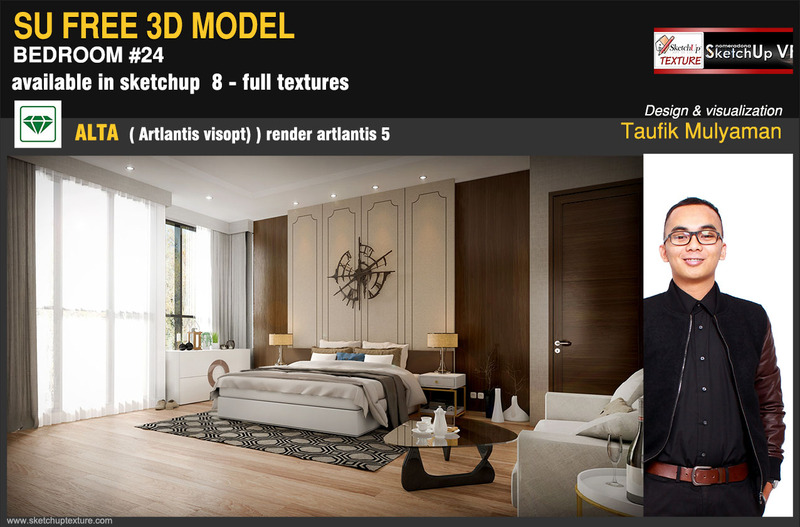 I had already shared in the past, on this Blog, some of my 3D models, and who knows me, knows that to render, I use Artlantis for SketchUp. 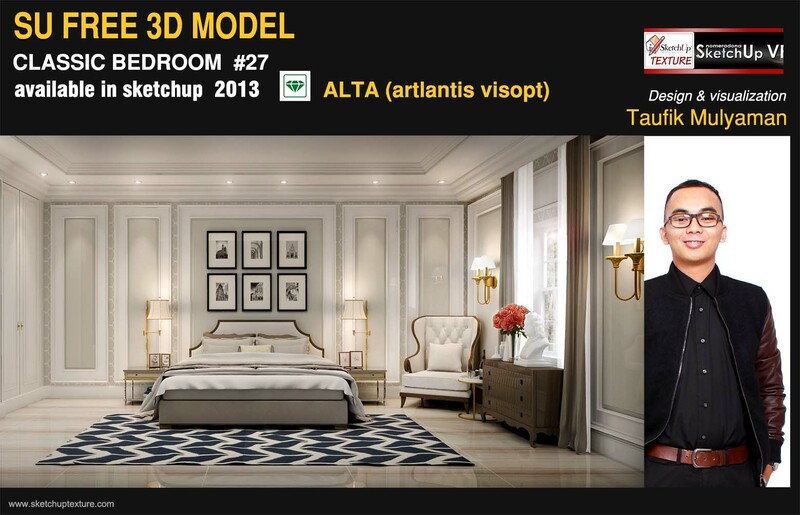 Today I propose here a luxurious Master bedroom in modern style with a dark masculine ambiance. 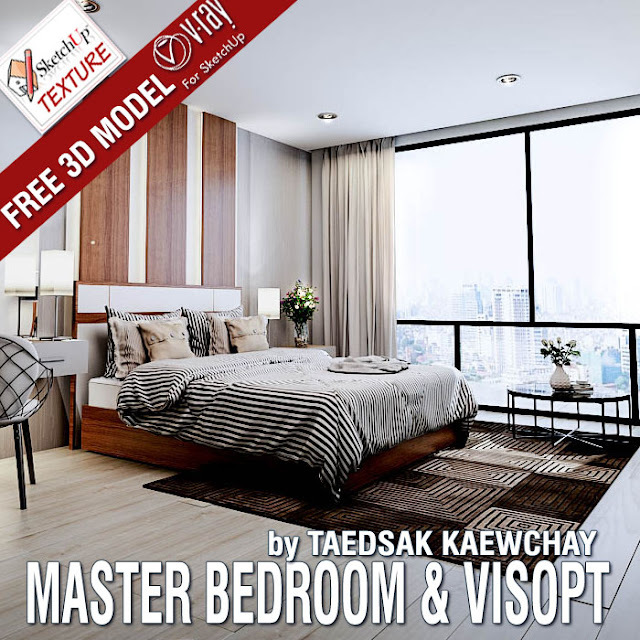 Click here to DOWNLOAD the sketchUp 3D model Master Bedroom by Taufik Mulyaman ATTENTION, to download these files : you will be redirected on our new website, where you need to register. This beautiful sketchup 3d model, full of components to be used in your 3d scenes, rug, curtains, floor lamp, is courtesy by TAEDSAK KAEWCHAY, who shared exclusively for us this nice master bedroom . 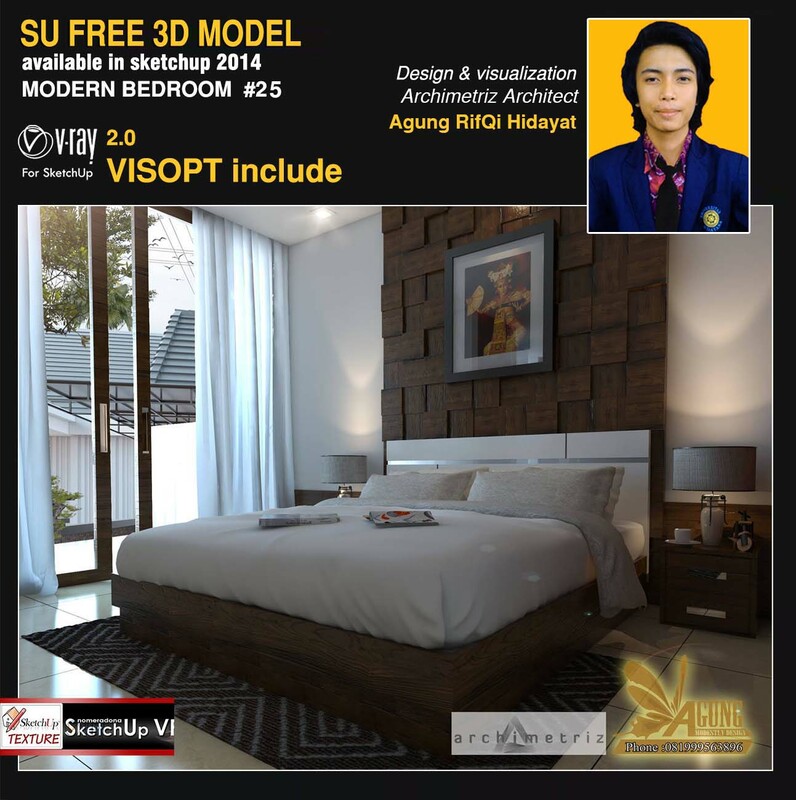 The 3d model, is made available in sketchup 8 , complete with all the textures, vray interior Visopt, and Hdri used for this scene, ready to start your test with vray. Thank you so muchi for this great contribution to our community ! Very nice and really well textured this master bedroom, retrò style, shared by THAN NGUYEN, modeled in sketchup and rendered in Vray, available in sketchup 8, with all the textures and the vray interior Visopt. Thank you so much Than for this absolutely great contribution to our community ! 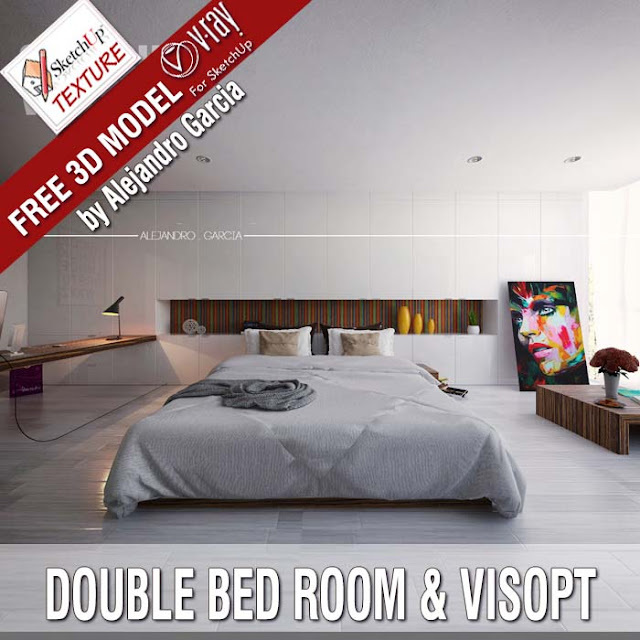 Very nice contribution by Alejandro Garcia this double bedroom 3d model available in sketchup 8, shared with all elements to get exercise in 3d visualization using vray for sketchup. This nice 3d model, full of components to be used in your 3D scenes, is courtesy of Reginald, who shared with us, this lovely bedroom with all 3d furnitures. 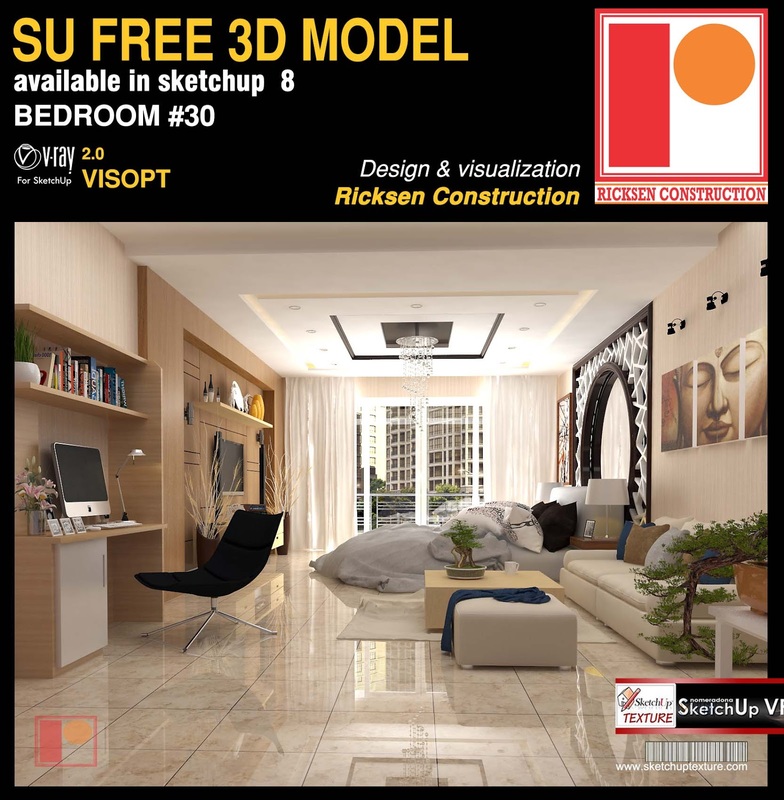 The color palette is inspired by the theme of trend, home interior by Benjamin Moore's 2015 "California Cool"
The 3d model, is available in sketchup 8 and sketchup 2015 , complete with all the textures, vray light , and vray interior Visopt, of this scene. Thank you so much Reginald for this contribution to our community ! 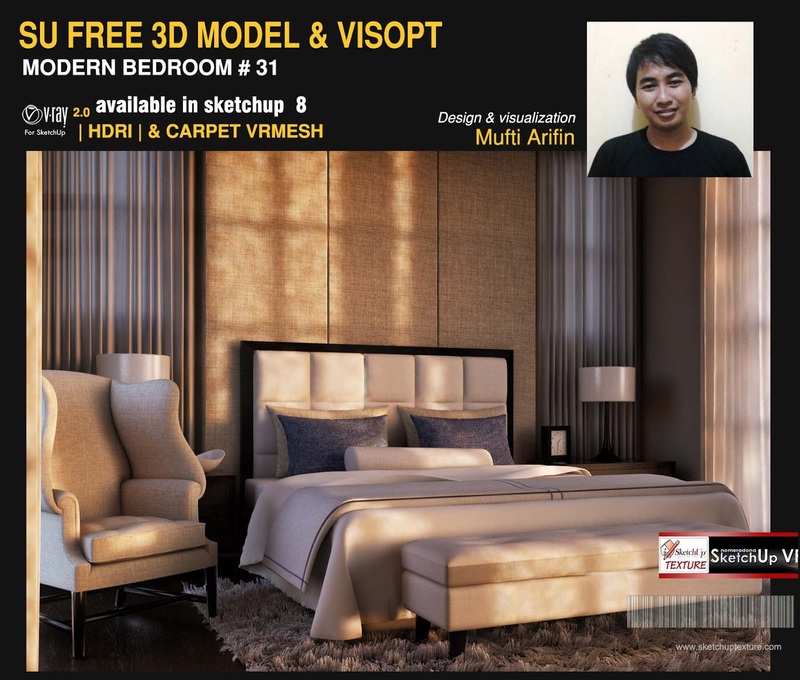 This beautiful sketchup 3d model, full of components to be used in your 3d scenes, is courtesy by Multi Arifin, who shared exclusively for us, this fine bedroom with all 3d components furnitures, including the vray vrmesh of the beautiful long pile rug. 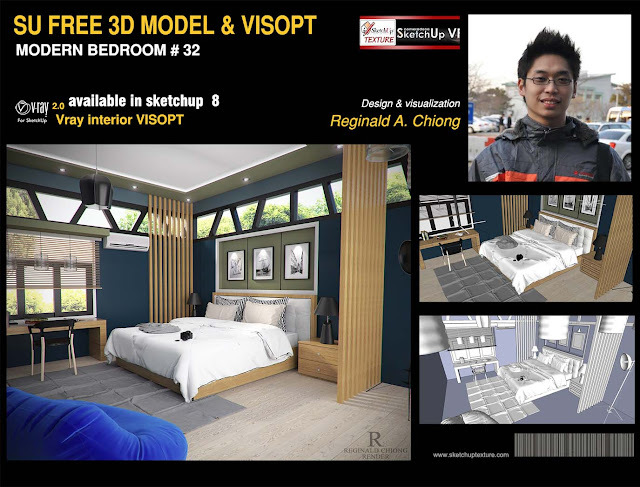 The 3d model, is made available in sketchup 8 , complete with all the textures, vray interior Visopt, and Hdri used for this scene. Thank you so much Multi for this great contribution to our community ! 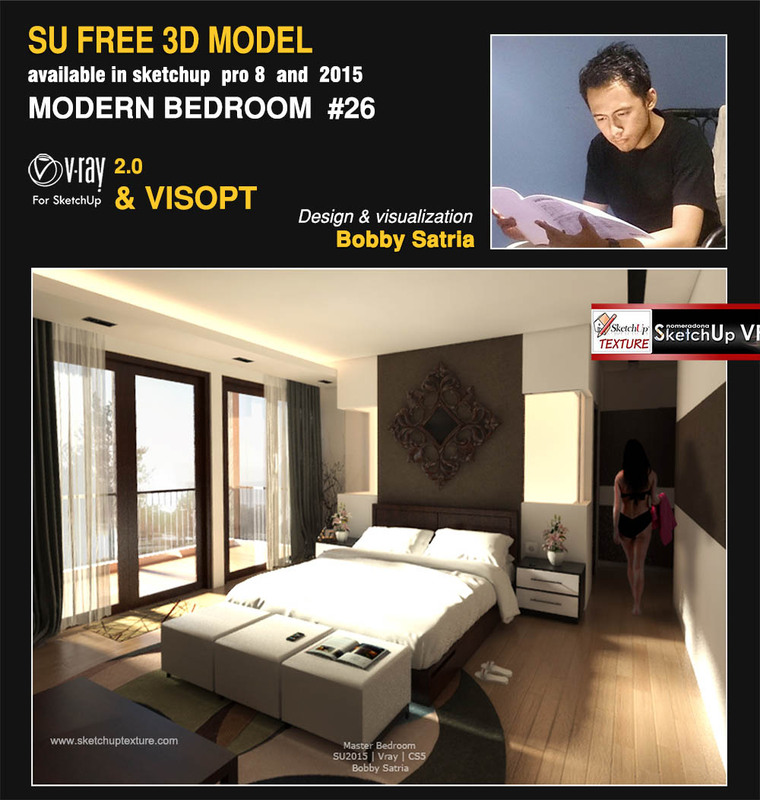 The 3d model, is made available in sketchup 8 , complete with all the textures, vray interior Visopt, of this scene. Thank you so much for this absolutely great contribution to our community ! 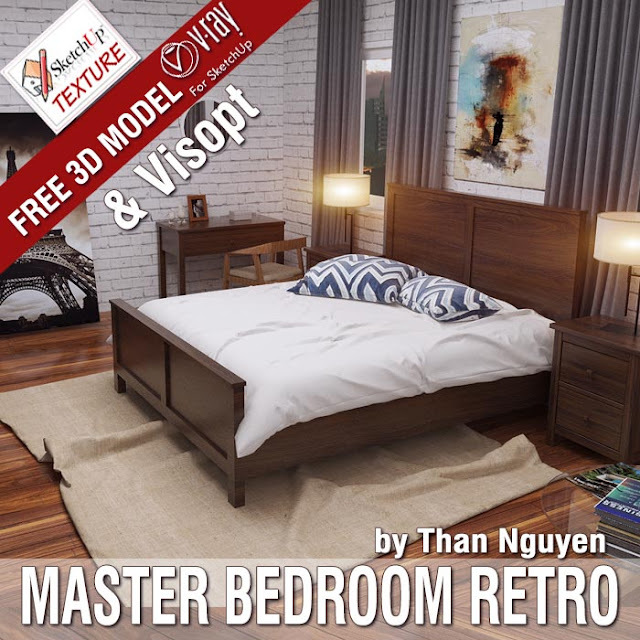 This brillant 3d model, full of components to be used in your 3D scenes, is courtesy by Ricksen Construction, who shared exclusively for us, this really great bedroom with bookcase, television, coffe table and cushioned sof. 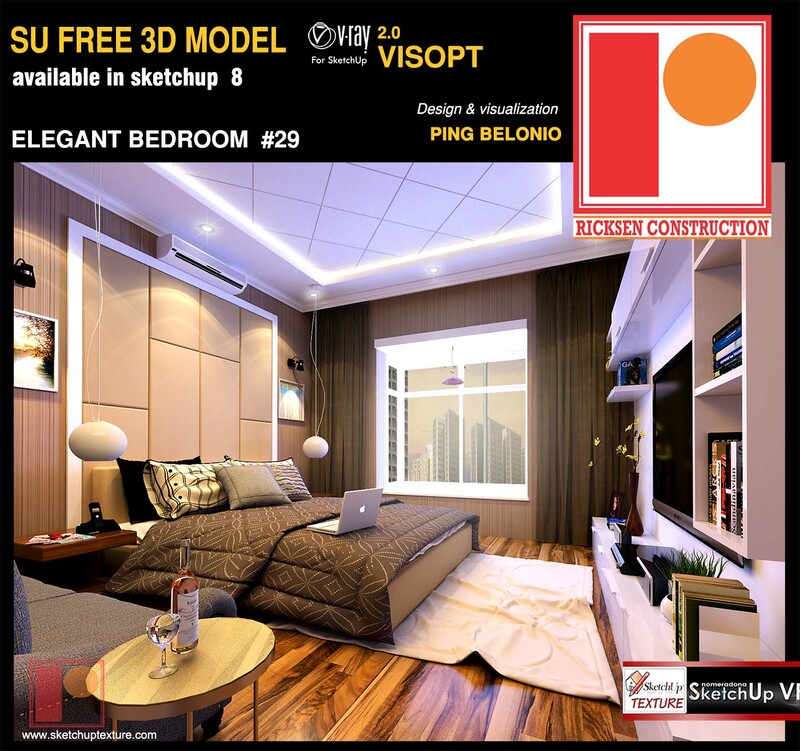 The 3d model, is made available in sketchup 8 , complete with all the textures, vray interior Visopt, Vray Ies Light, used in this scene. Thank you so much for this absolutely great contribution to our community ! 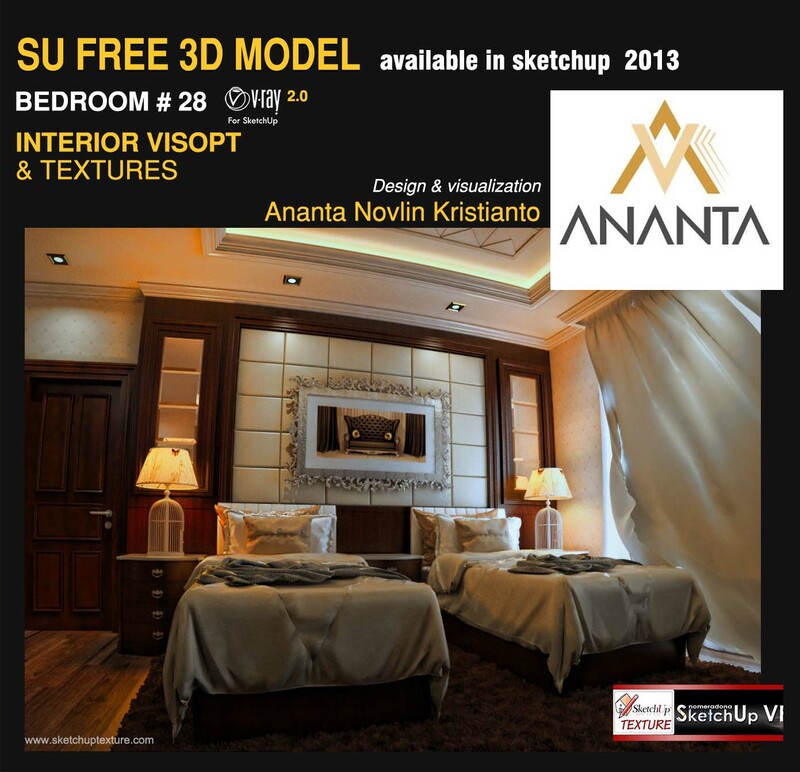 Thanks a lot Ananta for this great contribution to our community ! 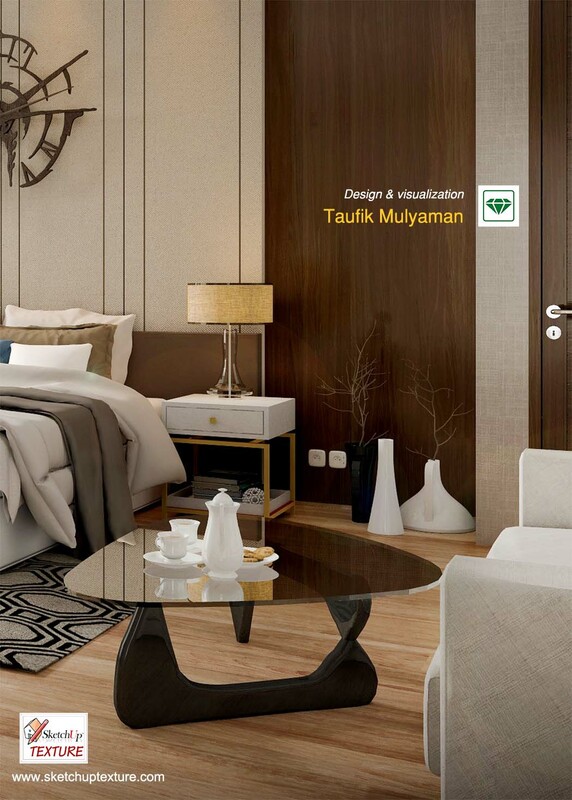 Thank you very much Taufik for this great contribution to our community ! Thank you very much Eric for this best contribution to "sketchup texture community" ! Work location : Jakarta / Indonesia. Thank you very much Bobby, for your kind contribution to our community ! Thank you very much Agung for this fantastic contribution to our community ! 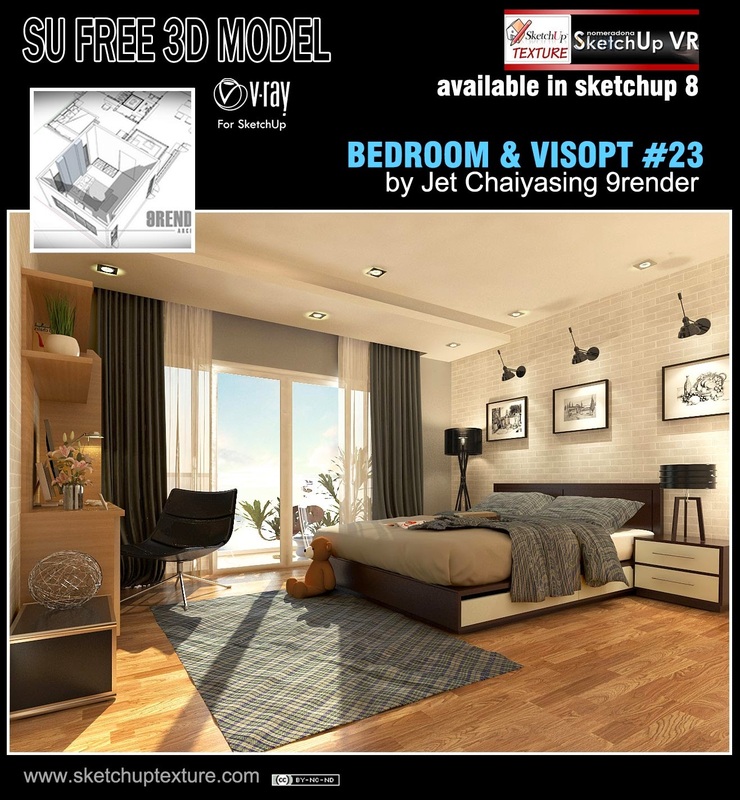 very great this 3d model, available in sketchup 8, shared by the architect, interior designer Jet Chaiyasing by 9render from Bangkok, (You can contact him by clicking HERE) The 3d model, excellently rendered, is complete with textures, and vray VISOPT scene, ready to be rendered with V-Ray for sketchup. 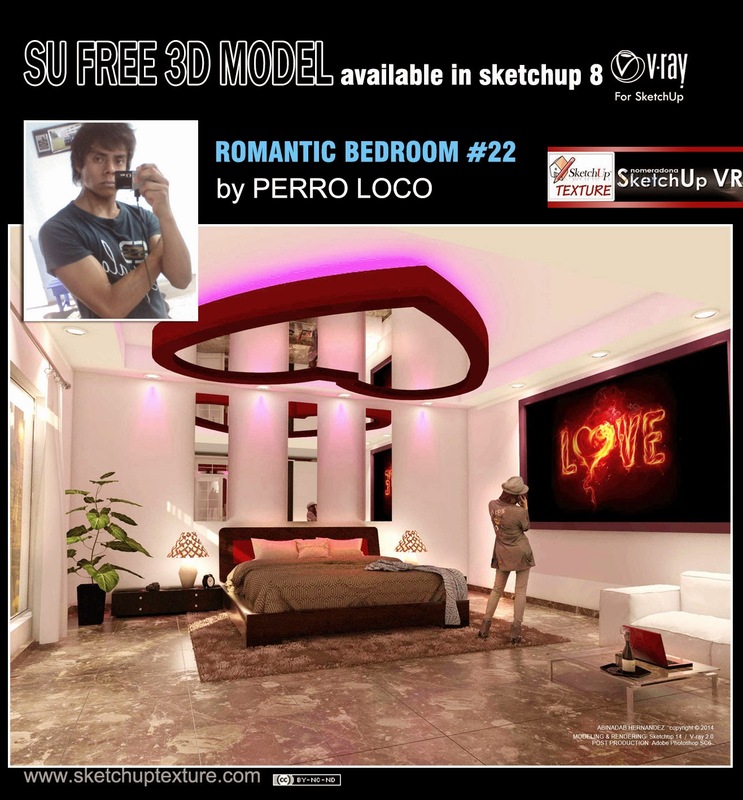 Nice 3d model, available in sketchup 8, shared by the architect, interior designer Perro Loco from Orizaba Veracruz, Mexico. 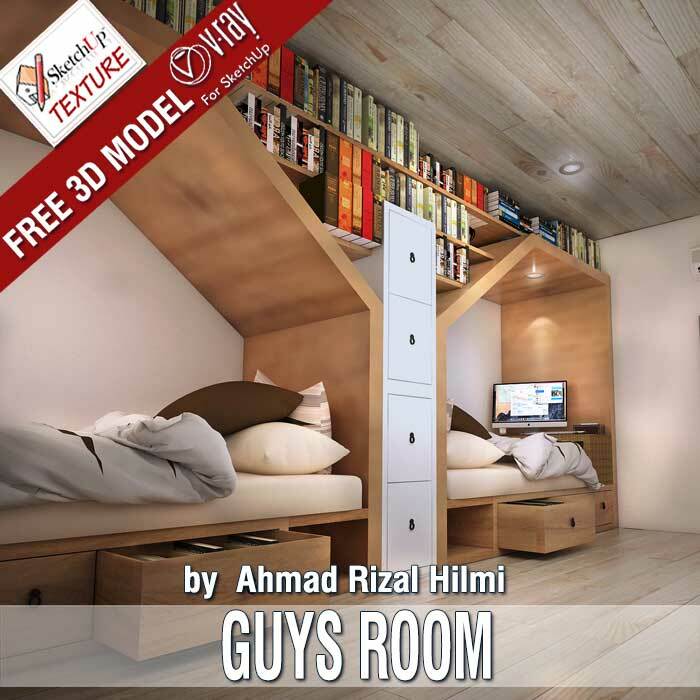 (You can contact him by clicking on the his name ) This bedroom, says the author, is dedicated to the love and passion ^-^ . 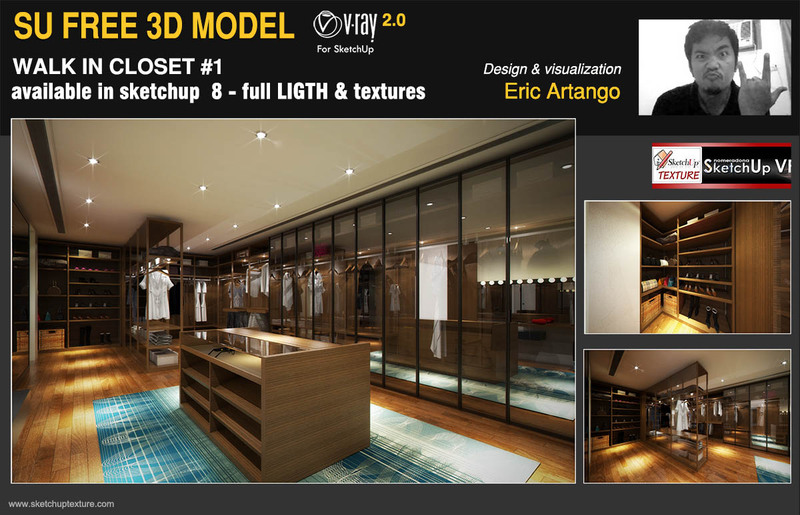 The 3d model is complete with textures, IES light, ready to be rendered with V-Ray for sketchup.